Football 101 | Arsenal: The Gunners are off to Wembley again! The Emirates suffering from low attendance of late had none of that to worry about with a sold-out crowd treated to a never before seen light show before kick-off. Arsenal lining up for the first time since Sanchez’s departure to United, who is set for his Manchester United debut against Yeovil. However, they didn’t let that get them down. Despite many betting sites naming Chelsea as the favourites, the gunners in the end prevailed. Chelsea took an early lead after good pressure with a trade mark Hazard break through the middle and superb finish to put the visitors 1-0 up on aggregate. 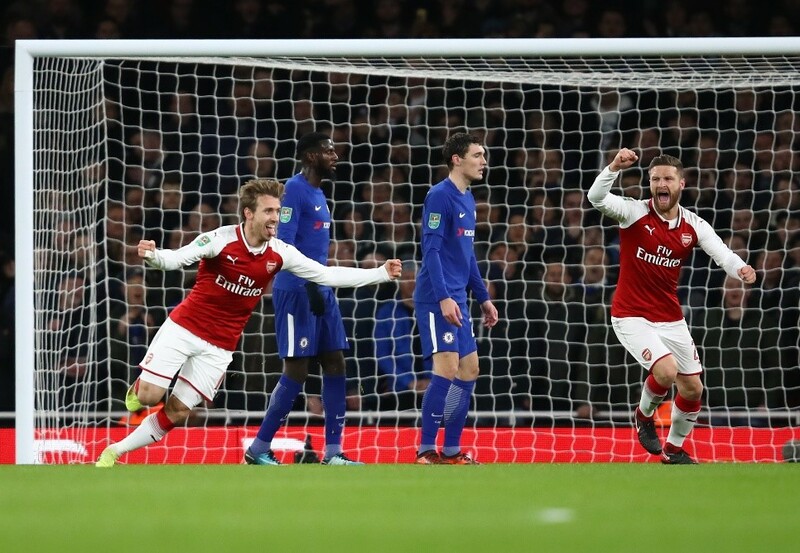 But it was short lived as Arsenal switched formation to 5 at the back and quickly bounced back when Nacho Monreal headed an Ozil corner only to ping pong off two Chelsea defenders into the back of the net 1-1!! On the hour mark Alexandre Lacazette hit one square that took a slight deflection and fell to the feet of Xhaka and he did not miss from there. Arsenal put in a fine defensive display for the rest of the game to seal the 2-1 win and the trip to Wembley for the final on the 25th of February. Tickets will go on sale on the 31st of January for the final and it is looking like Arsenal will be allocated 33000 of those tickets for fans.